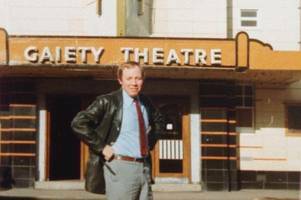 Bernard Cotton was a do-it-all theatre manager in the Gaiety's pomp and booked acts like Billy Connolly, Ken Dodd and Barbara Windsor. 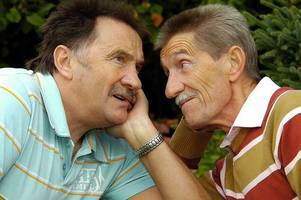 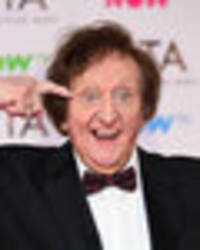 He's been in showbiz for nearly 50 years and he's booked shows for comedians Ian 'Sludge' Lees, Ken Dodd and Bob Monkhouse. 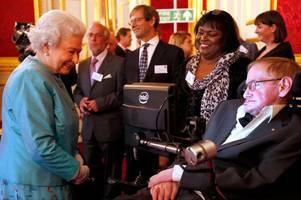 Britain is full of unsung heroes and heroines who deserve recognition. 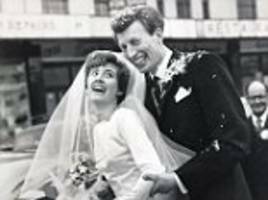 Here, in our weekly obituary column, the moving and inspirational stories of ordinary people who have lived extraordinary lives. 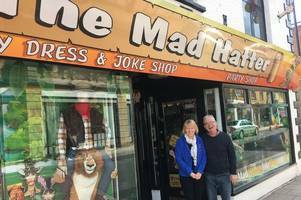 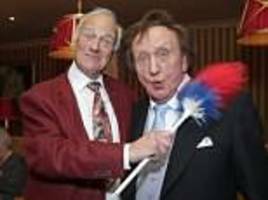 "Doddy spread ‘Happiness’ everywhere he performed"
Lady Anne Dodd has spoken of her gratitude after being inundated with thousands of cards following the death of her husband Sir Ken, thanking well-wishers in his home city of Liverpool. 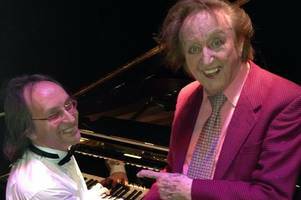 The comedy icon (pictured with Roy Hudd) confided in his friend that he knew he would never work again the night before he passed away at his home in Liverpool on March 11. 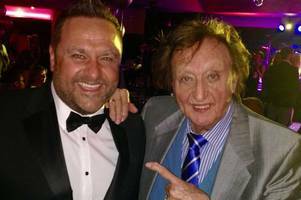 Comedians and friends pay tribute to Liverpool legend Sir Ken Dodd at his funeral. 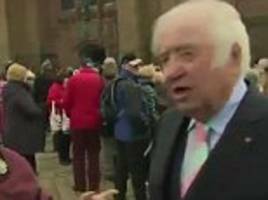 The mishap was caught live on camera as mourners were leaving Sir Ken Dodd's funeral at Liverpool Cathedral - and it turned out that the woman was once the late comic's housekeeper. 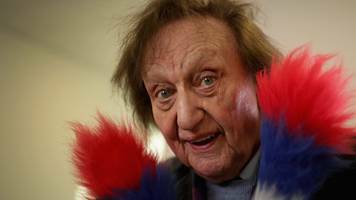 Thousands have gathered to say a final “tatty bye” to much-loved comedian Sir Ken Dodd. 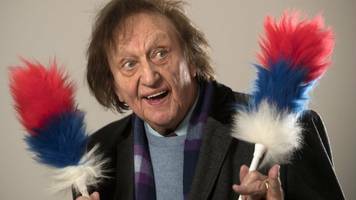 KEN Dodd will be laid to rest today after a large scale funeral in Liverpool. 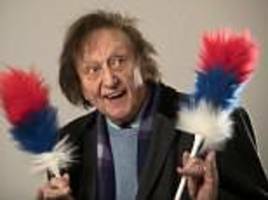 Flags at Liverpool Town Hall, St George's Hall, Cunard Building and Central Library in the city will be lowered for the day as a mark of respect to comedian Sir Ken Dodd. 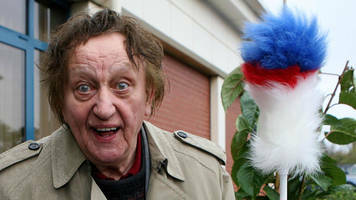 Members of the public have been asked to line the streets of the funeral procession in Liverpool. 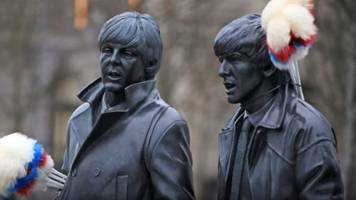 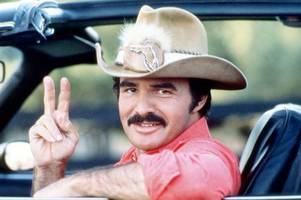 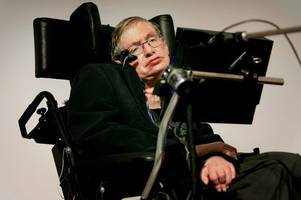 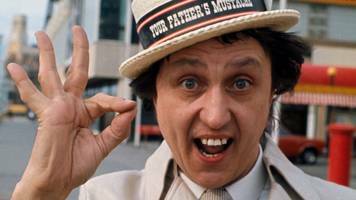 The comedian will be carried to Liverpool Anglican Cathedral for his funeral in a horse-drawn hearse in a nod to his coal merchant father. 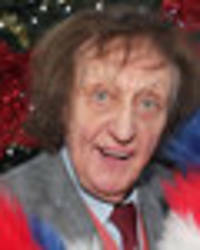 Liverpool's Anglican Cathedral says it is "honoured" to host the Squire of Knotty Ash's funeral. 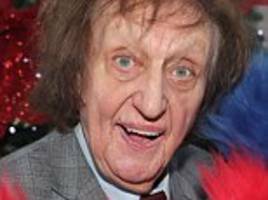 Ken Dodd net worth: What was the comedy legend worth? 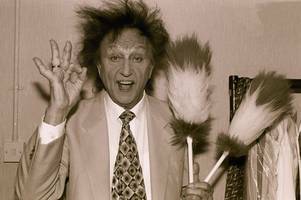 SIR Ken Dodd, one of the biggest legends in UK comedy and entertainment, passed away this week aged 90 – but how much was he worth? 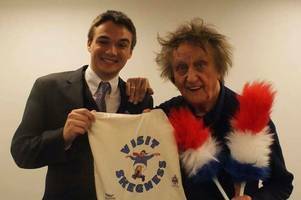 The days when Ken Dodd delighted millions in Blackpool and Scarborough now seem like a different age. 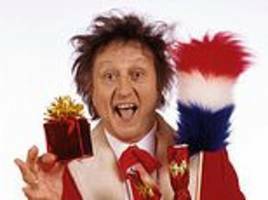 Few people have mastered the art of making people laugh in the way that Ken Dodd did.